It sounds like something a group of foodie superheros might say. But actually it's Crepeaway, a cool little fast-foody type restaurant in DC (of course) that specializes in making crepes. 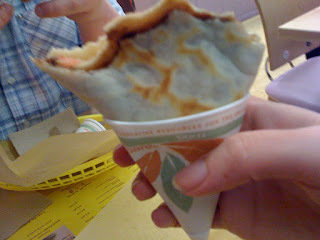 They have savory crepes and sweet crepes and every single one of them looks so yumma yumma! Hubby and I went to church Sunday night and afterwards we were yearning for a snack. So we thought, "we don't have real jobs where we have to get up early the next morning, especially on Presidents Day. 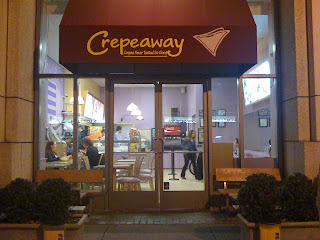 Let's drive to DC at 10:00 at night and get some crepes!" And thats exactly what we did! 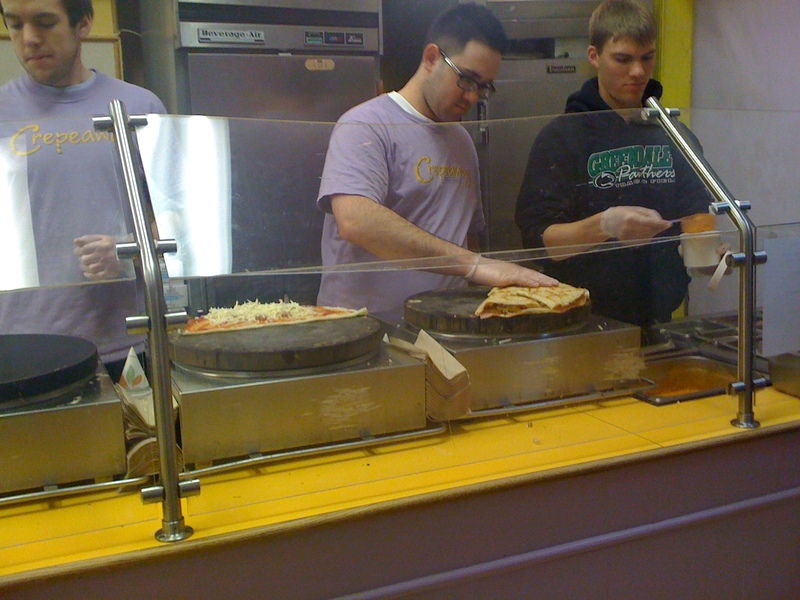 Most of the crepes have people names, like Mikey or Casey or Antonio. There was one even named Obama. Hubby ordered the Caesar. Grilled chicken with melted cheese, bacon, tomatoes, and a Caesar dressing. Deliciously savory and hot! I ordered the Toto. Warm melted nutella chocolate with sliced strawberries. Awesome! 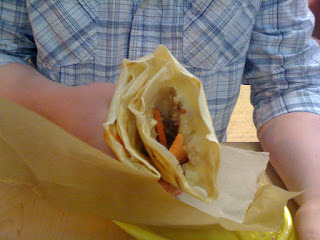 Take me away to Crepeaway!! Get your crepe on!! Could you please send dozen of those my way. 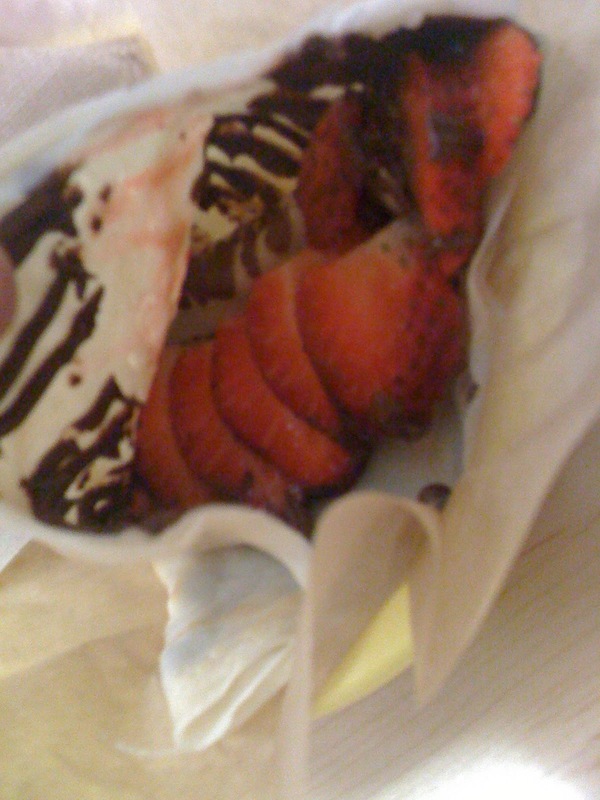 I am crepeaing away. 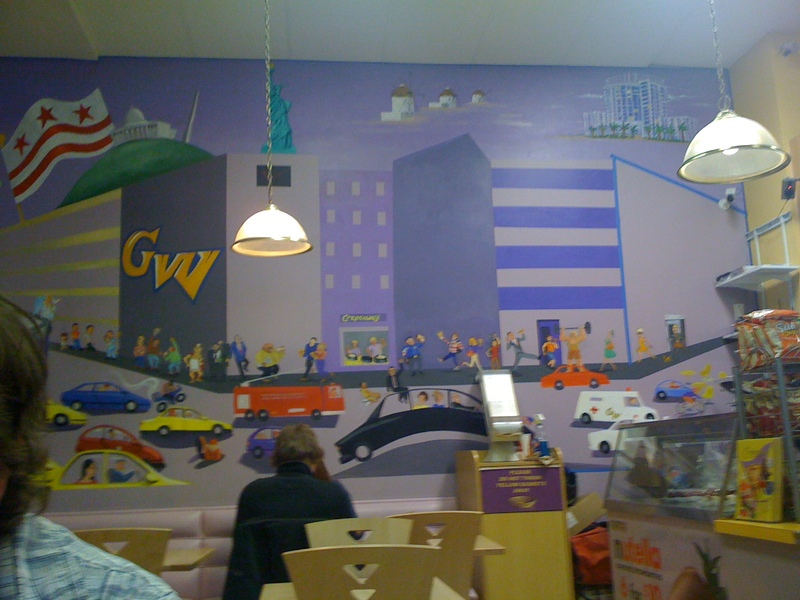 Reading your posts I feel like I know all the great eateries in DC. Can't wait to come there some days. Goin' on a Food Truck Hunt! !